We have had rain off and on for the past week. Today was partly sunny. These clouds played hide and seek with the sun all day. We who live in Oklahoma learn to be flexible in our plans for the weather. Oklahoma Freewheel: For the past 32 years a thousand of more happy bikers spend the second week of June riding 400 miles in six days from Texas across the state of Oklahoma to Kansas. All brag, no sag! If you check the photo archive for Freewheel 1993 you will find an old friend. First Presbyterian Church, 709 South Boston Avenue, Tulsa, Oklahoma. First established 1885, current building 1911. What good is a pit bull? 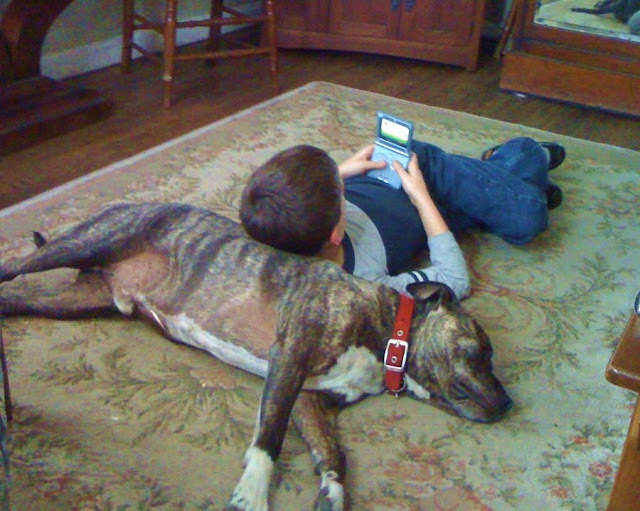 Willy can tell you he makes a great pillow whilst playing a video game. Smokey is pleased to oblige and is wearing his red collar for Ruby Tuesday. For other shades of red from all over check out Ruby Tuesday. We love to feed the birds and leave feed out for them all year around. The feeders have wire cages around them to make them "squirrel-proof" but the squirrels don't know this and work on them anyway. They are fun to watch too. 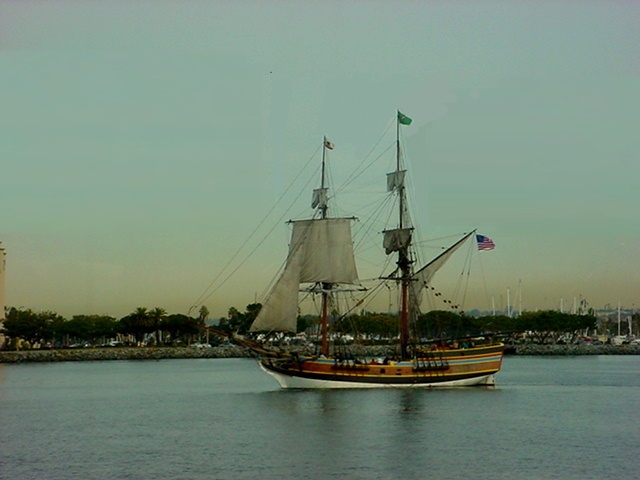 Tall ship in San Diego Harbor. A last dip into the archives of a nice weekend in San Diego. right click to rotate. Enjoy! 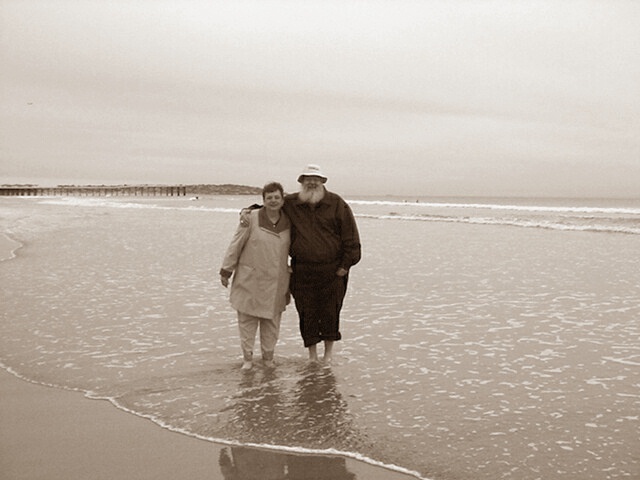 Susan and I on the beach in San Diego some years ago. A friendly passer-by volunteered to snap our picture with my camera. We visited the zoo, ate good Chinese food, and walked on the beach. It was a beautiful weekend. 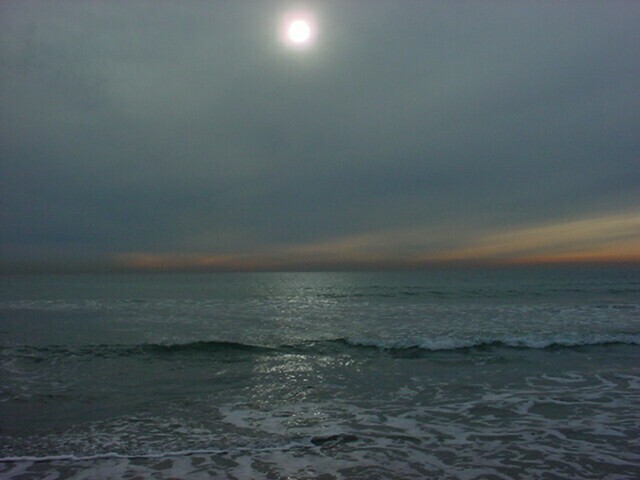 Susan and I enjoyed a weekend in San Diego some years ago and watched the sun go down behind the clouds as we walked the beach. Nice memory. 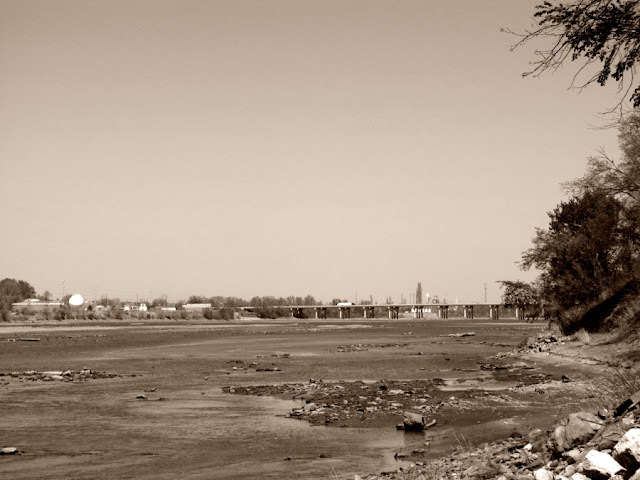 Tulsa is built on a bend in the Arkansas River. When the river is low it looks more like the Arkansas Sandbar. A low water dam near 21st Street keeps the river filled from bank to bank above that point. Here just below the 51St Street (I-44) bridge it dwindles according to the amount of rainfall upstream. There are plans to build two more low water dams near 51st and 71st Streets which will allow a more consistent water level in the river. 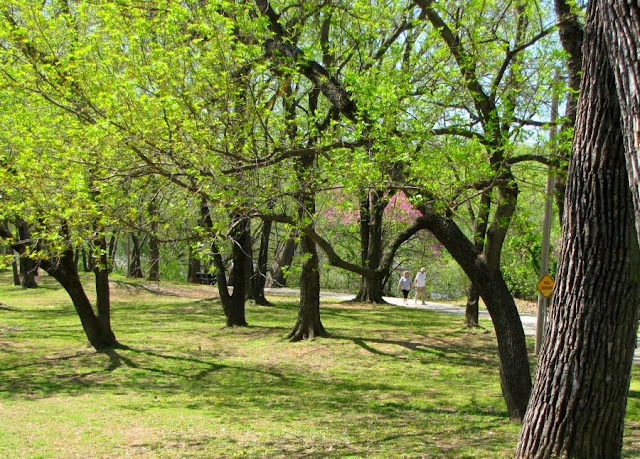 Everything is turning green, the air is warm and soft, and it is a perfect day for a walk down Tulsa's Riverpark. 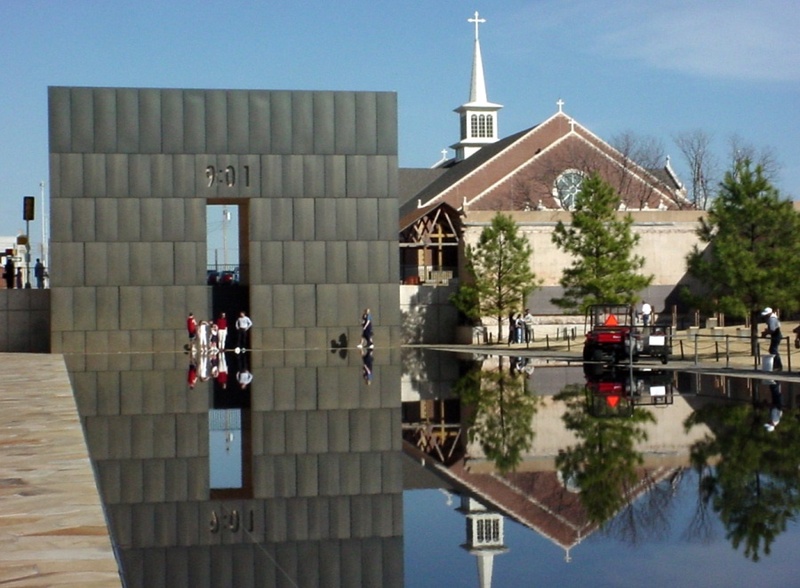 Fifteen years ago today the Murrah Federal Building in Oklahoma City, Oklahoma was devastated by American terrorist Timothy McVeigh. This memorial was constructed on the site of the bombing which took the lives of 168 people including 19 children at a day nursery in the building. The time was 9:01 in the morning, the time inscribed at the top of the arch. 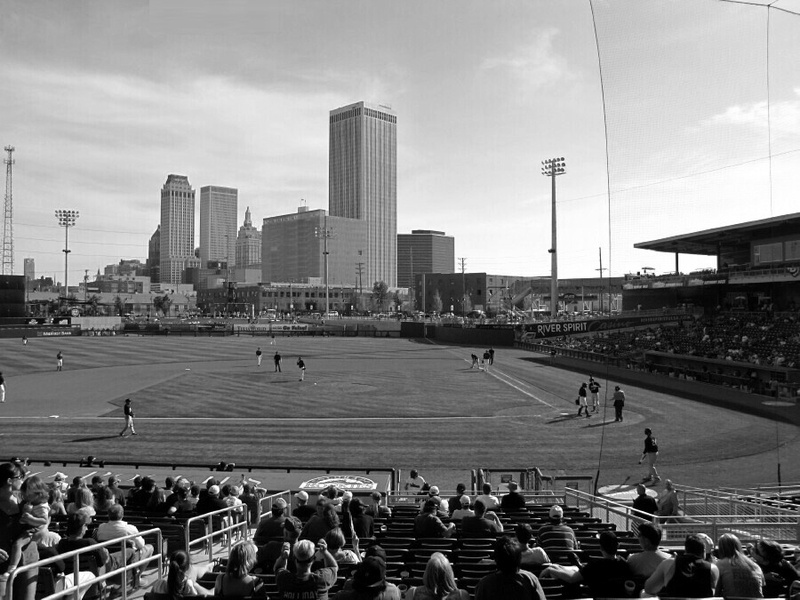 Monochrome Weekend - ONEOK Field, Let's Play Ball ! The Brand New home of the Tulsa Drillers Baseball team is ONEOK Baseball Park in the heart of Downtown Tulsa. Lets Go Tulsa !! 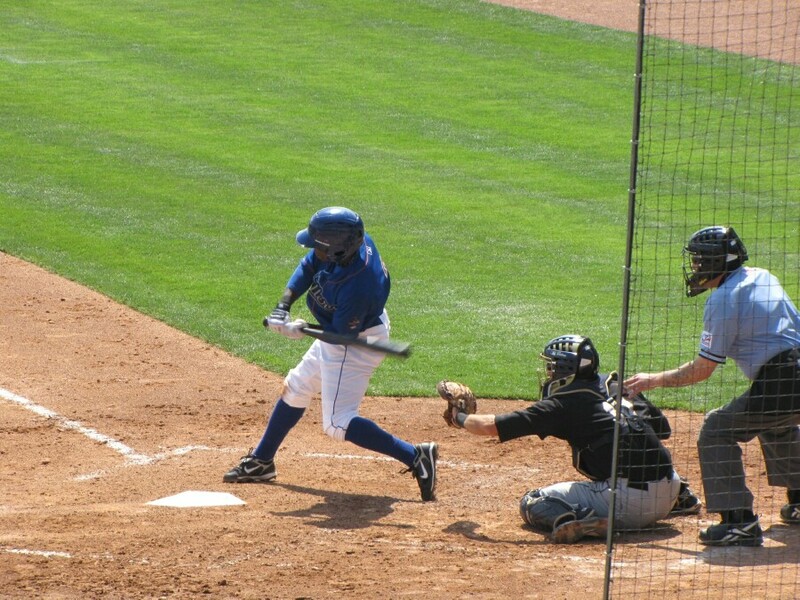 The Tulsa Drillers are the Double A affiliate of the National League Champion Colorado Rockies and play in the historic Texas League. 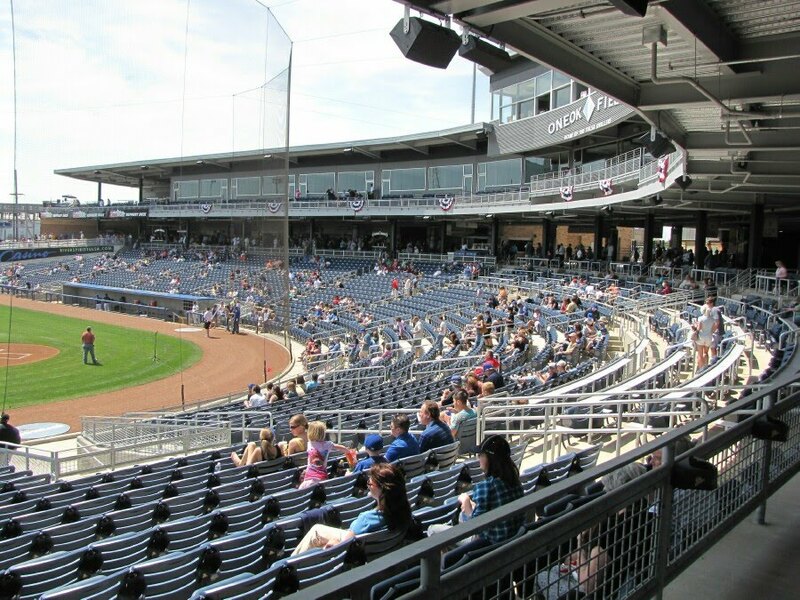 The new ball park enjoys a fine view of Tulsa's Skyline. 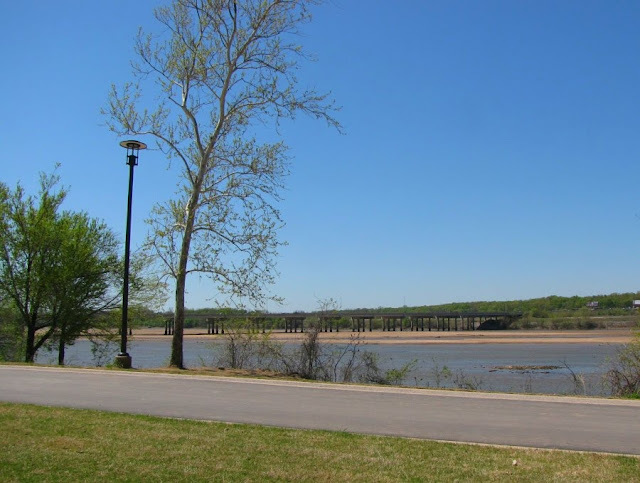 It is a beautiful day to walk, run, or bicycle down the trails of Tulsa's Riverpark. The trails have been resurfaced this year with new lighting and improved landscaping. The Tulsa Parks Department has made a good thing better. 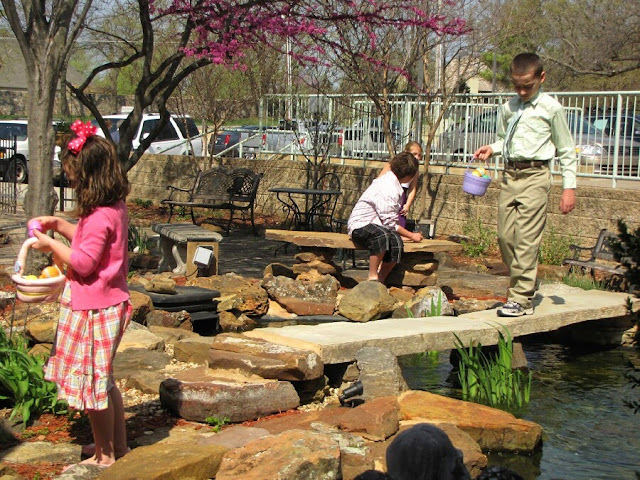 All along the Riverpark are heroic-sized, realistic bronze wildlife monuments created by Natureworks for the City of Tulsa. 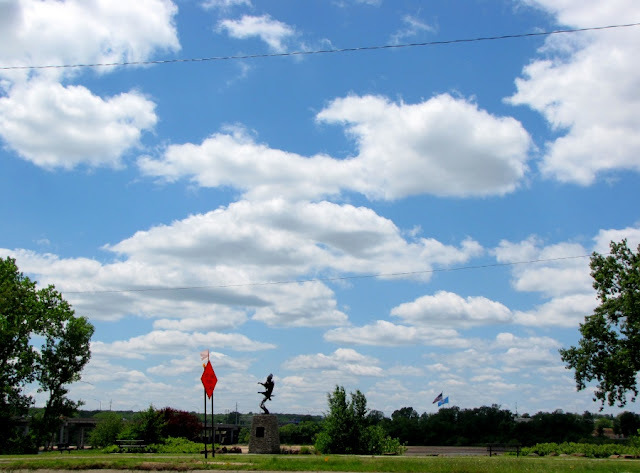 There are nearly 2 dozen of these monuments prominently located throughout the Riverpark area. These bears are fishing in a waterfall located in the northwest cornet of the intersection of 71st Street and Riverside Drive. 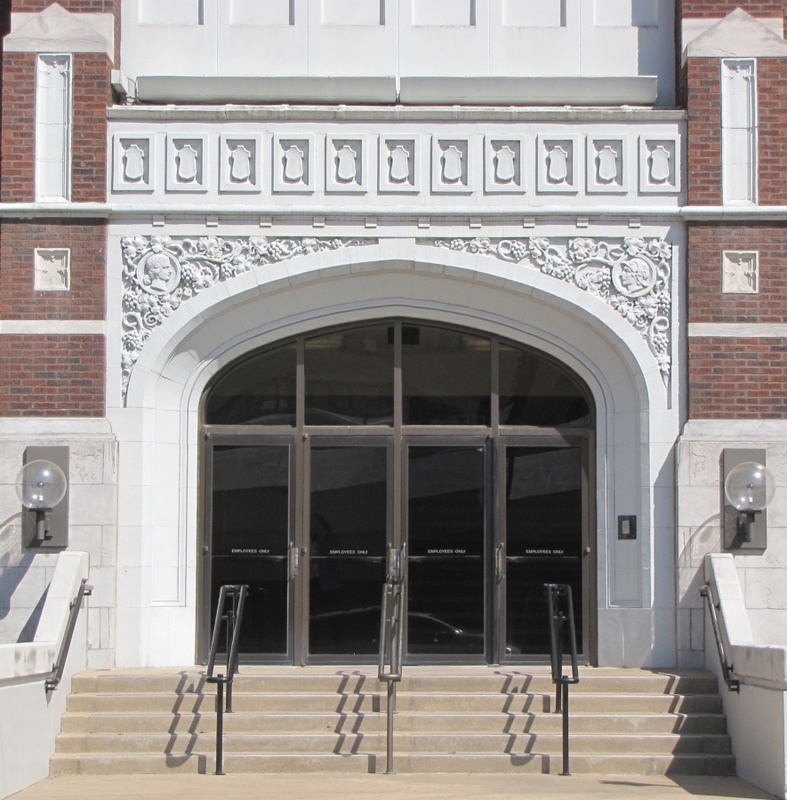 The Main Doors to Old Central High School, Tulsa, Oklahoma. Central High School in downtown Tulsa was opened in 1917 and expanded in 1922. 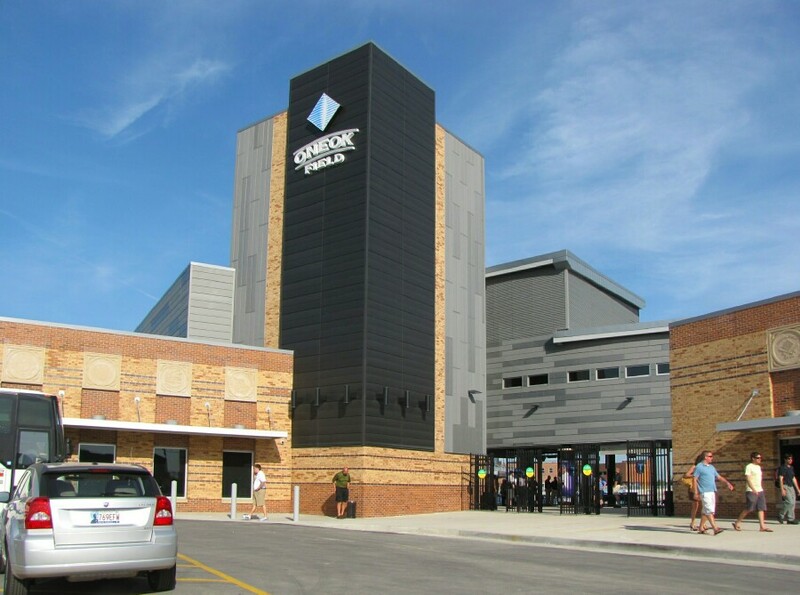 It replaced an earlier building built in 1906. As Tulsa grew, additional high schools were built farther from the city center and by 1976 Central was closed as a school and purchased by the Public Service Company of Oklahoma (PSO). 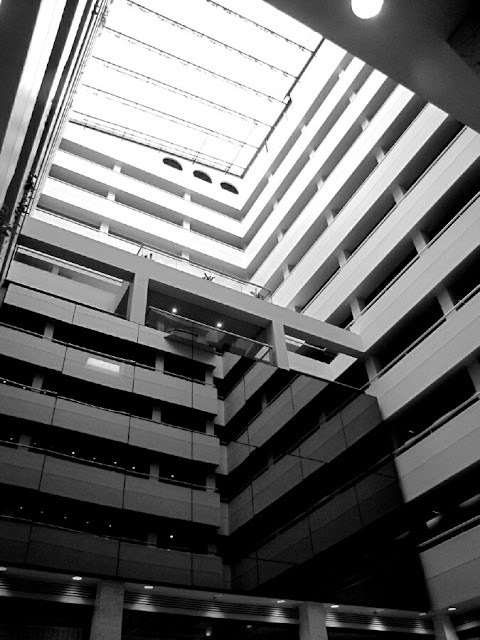 After a complete renovation and extensive interior modifications, it now serves as PSO's headquarters. 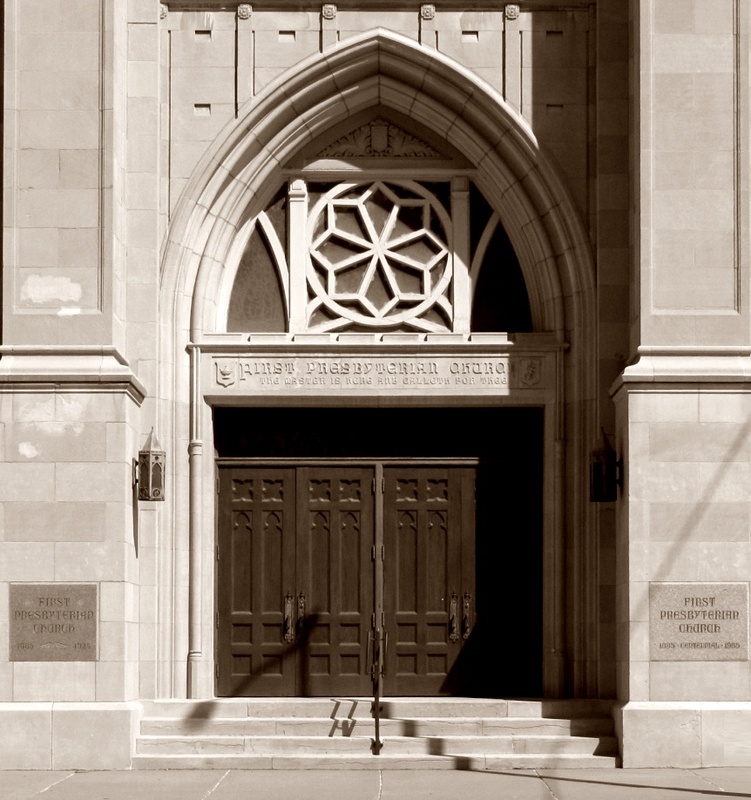 In November 2007, PSO received the Foundation Landmark Award from the Tulsa Foundation for Architecture for preservation of the building as a significant part of Tulsa’s heritage. 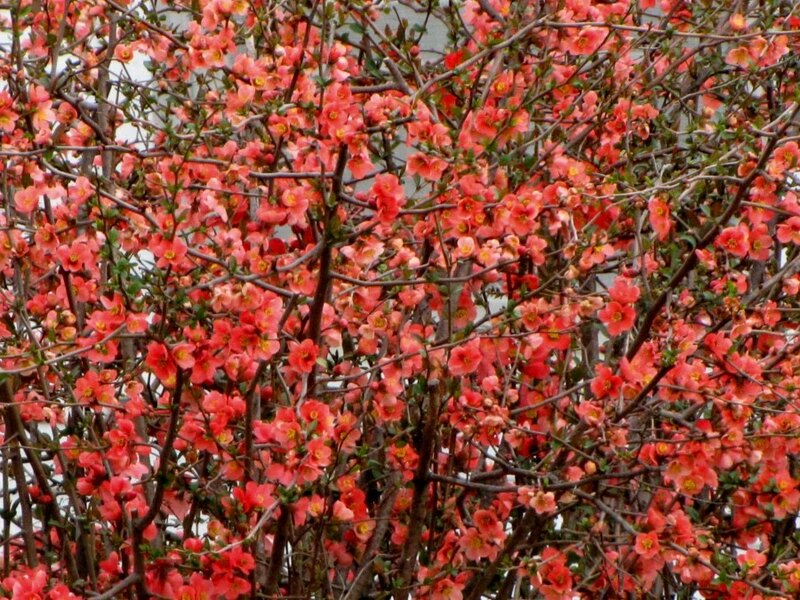 One of the early colorful shrubs is this Japanese Flowering Quince also known as Japonica. This is very hardy and can grow quite large if left untrimmed. It sometimes bears small red fruit and protects itself with thorns. It is a Chaenomeles and part of the same Rosaceae family as apples, strawberries and roses. This particular variety is correctly named Chaenomeles Superba. If there is anything better than a baseball game it's an afternoon Baseball game on a beautiful spring day. Susan's brother Alan and his wife Virginia are visiting us from Maryland. Sunday afternoon we took them to see the Tulsa Drillers and the San Antonio Missions play ball in the brand new ONEOK Field. Opening night was Thursday evening which was a sellout. It was a gorgeous day. When you walk into the new field you are on the main concourse level with the playing field laid out below ground level. This is where the handicapped seats are located which could not be more convenient. 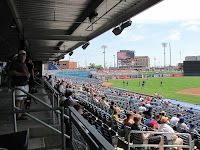 This row of open seating extends all around the stadium which means that anyone can sit there. This is much better than the old stadium. 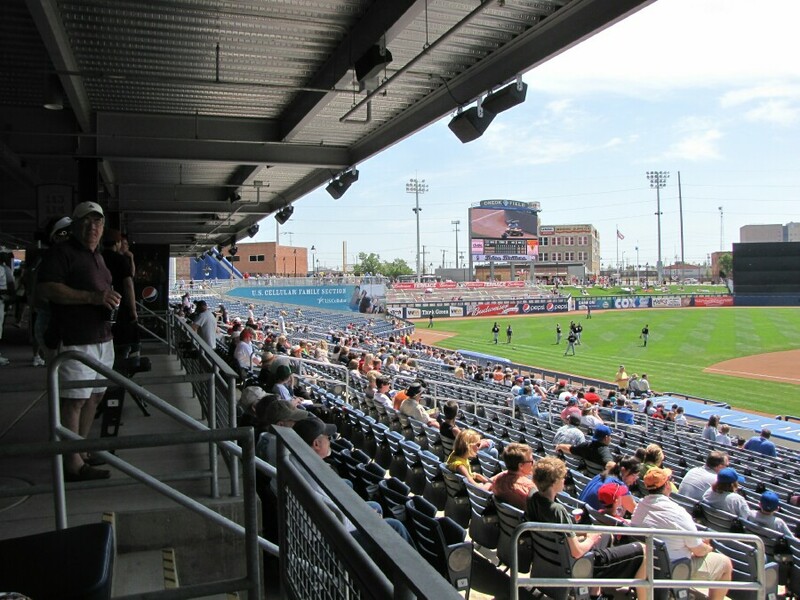 The concession stands are on the back side of the concourse which means that food and drinks can be purchased while keeping an eye on the ballgame. 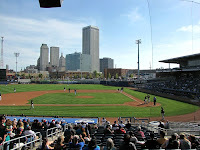 The most impressive part of the new location is that the great downtown Tulsa Skyline is visible from all over the park. This will be even more spectacular during night games when all the lights are on downtown. I have to admit that my first reaction to building a new baseball stadium was "what's the matter with the old one?" Now that it is built and we see how nice everything is we are converts. This is great! What made it even better was that Tulsa won by a score of 9 to 6. Tulsa usually does well but it really doesn't matter that much to me who wins. 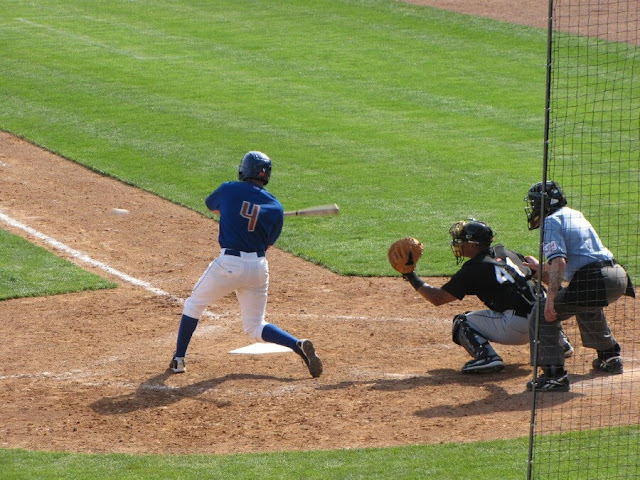 I love the baseball experience. The field is beautiful, the stadium food is good, and I love baseball. There is plenty of excitement but the pace is relaxing enough to carry on a conversation with your friends while watching the game. We had a great time. And did I mention that the seats were only $10 a person? What a bargain! Driving through Tulsa's older neighborhoods is a celebration of spring color. This lovely garden has both white and red Azaleas starting to show, a white Redbud tree (yes, they come in several colors), and in the distance a yellow Forsythia. Later in the season that big Magnolia tree will bloom. This is the central atrium of the Exchange Bank in downtown Tulsa. It was originally the National Bank of Tulsa, also known simply as the 320 South Boston building. 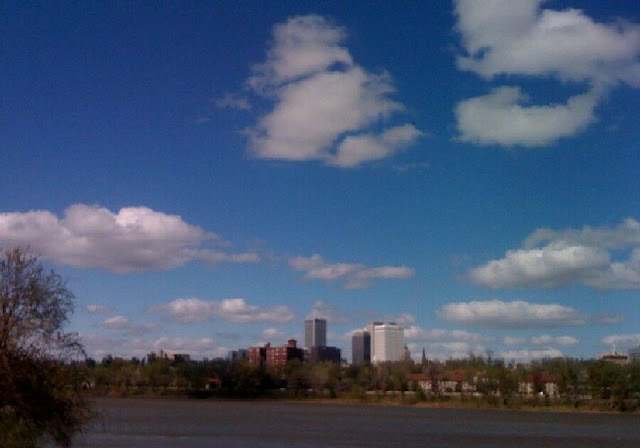 Beautiful blue sky over Tulsa's downtown from the River West Festival Park. Not a bad shot taken with my iphone. I may be without my Canon but never without my iphone. 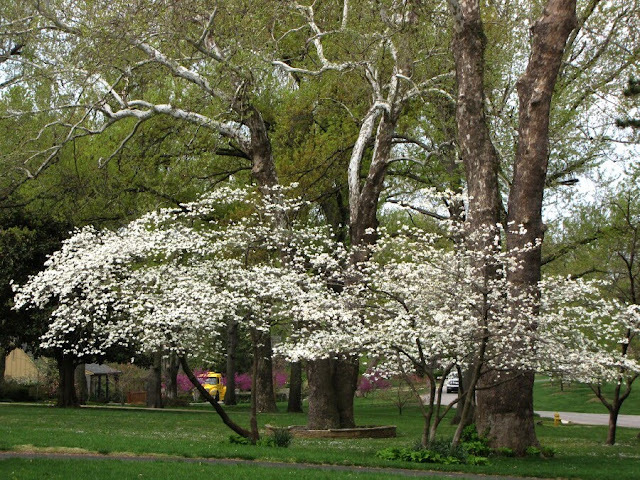 White dogwood trees spread in layers of white under tall sycamores. Normally spring flowers bloom in a certain order over a month or so. This spring we had cold weather including some late snow and the early stuff didn't get much of a chance. Then when the snow went away it got really warm and everything exploded into bloom at about the same time. Susan and I drove around yesterday and I tried to take pictures of what was out. I have never seen all these things blooming at the same time. 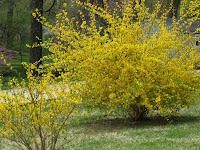 Yellow Forsythia usually is an early bloomer. 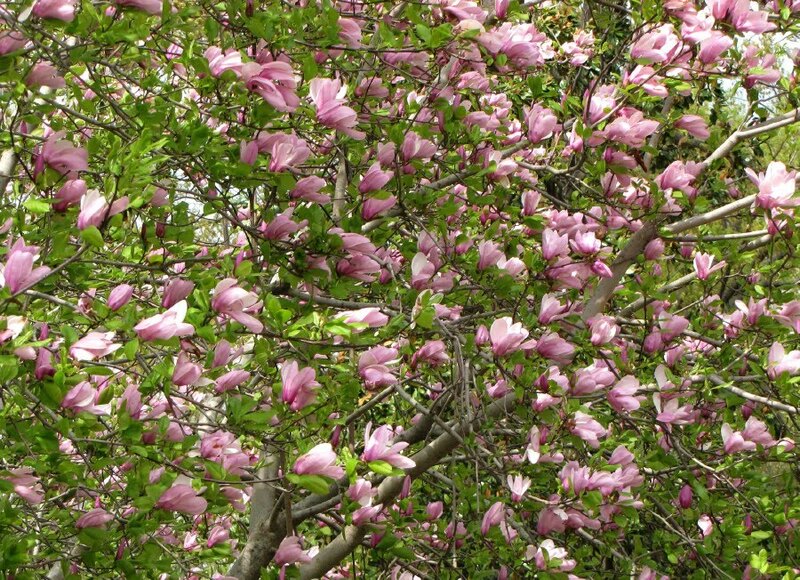 The Tulip tree is a kind of magnolia. 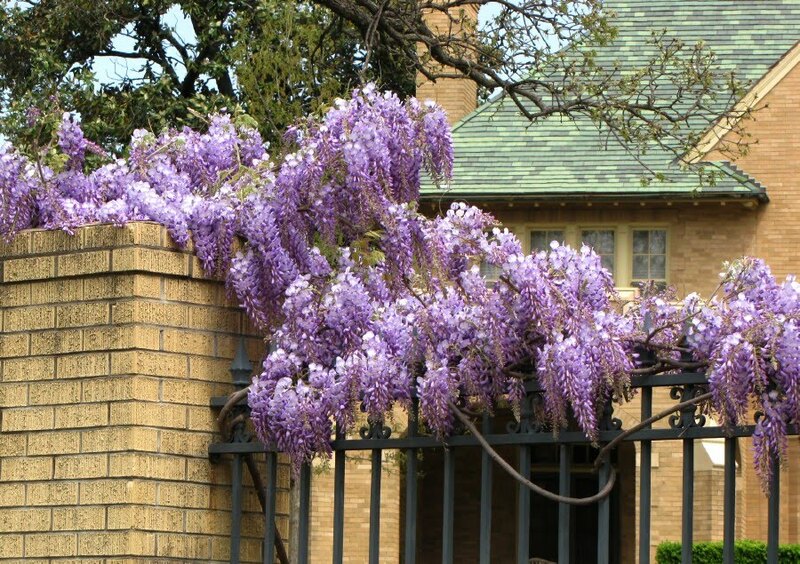 The purple Wisteria vine is spectacular. 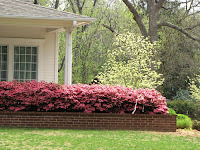 Even the Azaleas are beginning to flower. 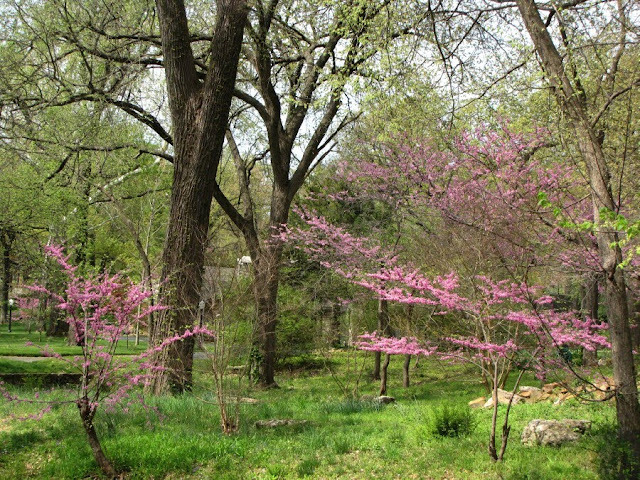 And the hardy Redbud tree grows wild in the open spaces under the tall trees. 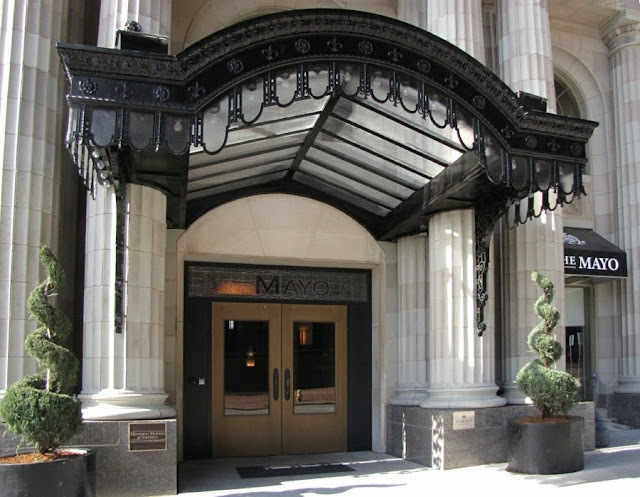 Tulsa's landmark hotel, the Mayo opened in 1925 as an 18 story 600 room hotel. It has recently undergone extensive remodeling and restoration and now offers 102 hotel rooms, 70 luxury residences, and opulent event space with a restaurant and coffee shop in the lobby. The Redbud trees have burst into bloom. 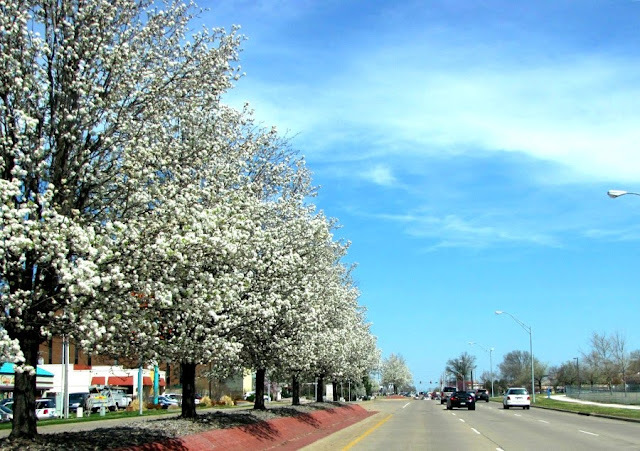 Tulsa experienced some periods of unusually cold weather in March, including several late spring snow storms. 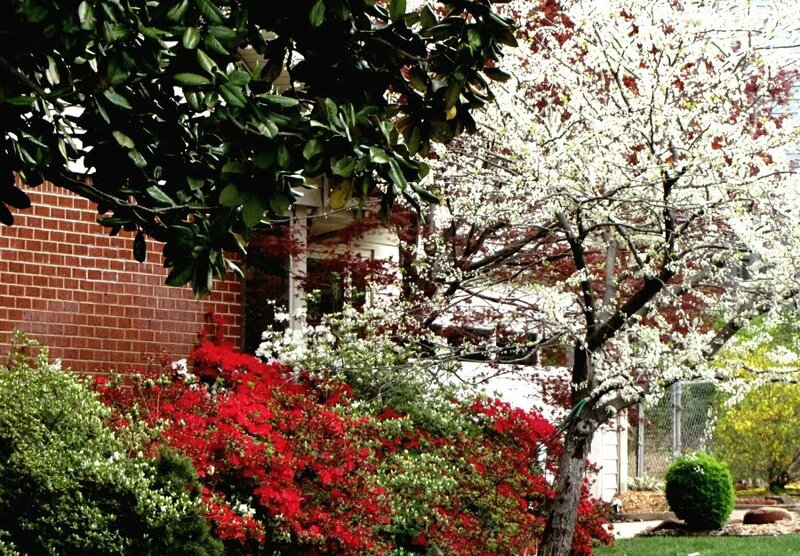 As a result our spring blooming season was delayed by a week or two. Over the last week or so we have enjoyed some sun and warm weather and it seems like everything burst into bloom at once. The Redbud is Oklahoma's state tree and grows wild here in addition to being a favorite ornamental tree for urban landscaping. There are several varieties, the one in my garden is the old-fashioned native variety. They are spectacular when in full bloom and give off a light but very pleasant scent. 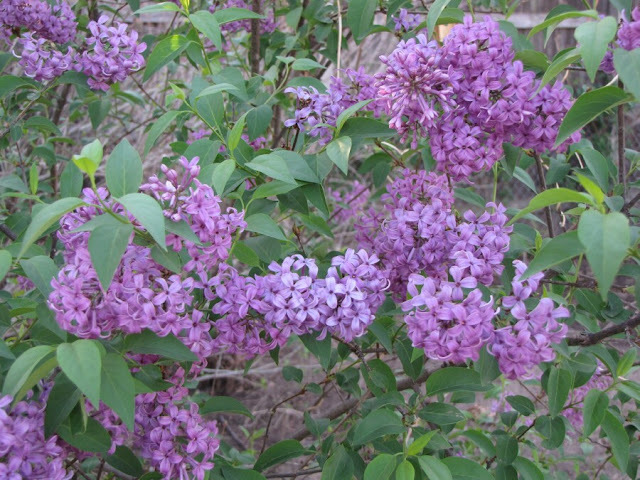 Few spring flowers smell as sweet as the lilacs. 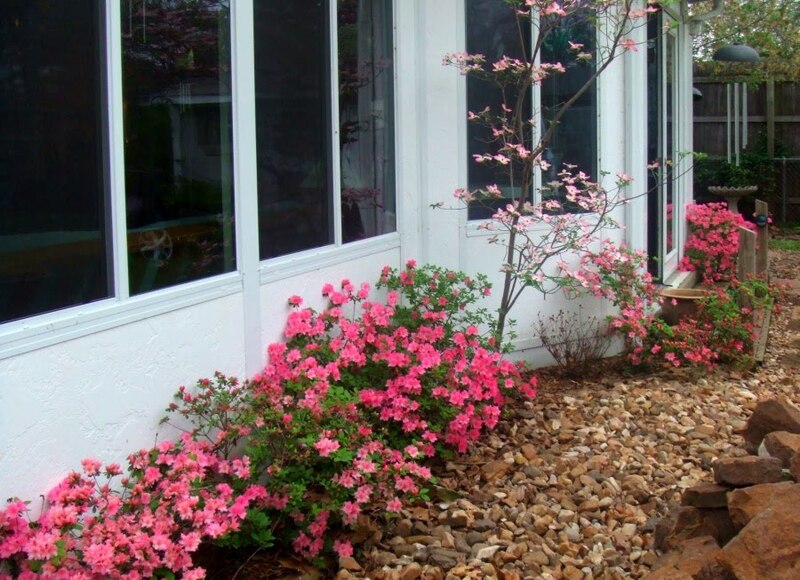 I will cut a sprig and bring it indoors to fill the house with its pleasant fragrance. After the service we enjoy refreshments and the kids look for Easter eggs. 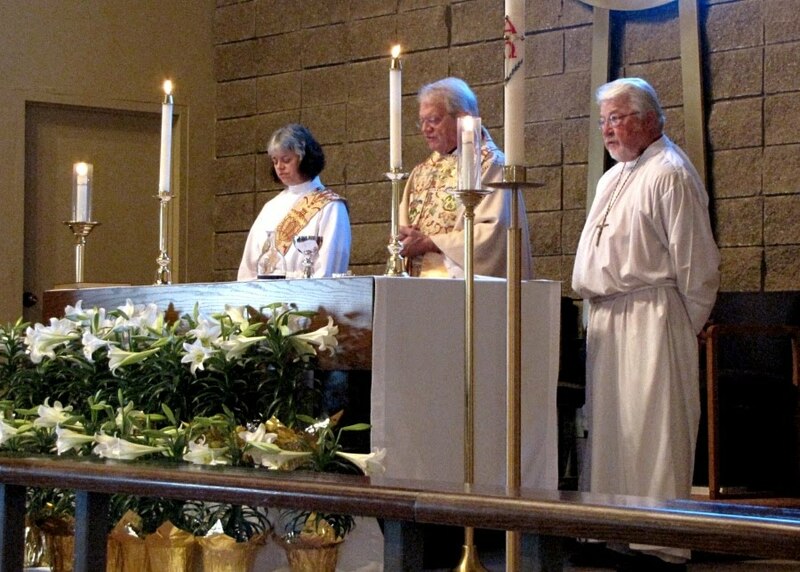 Bunnies and colored eggs aside, Easter is the celebration of the resurrection of Jesus the Christ, and is the most important event in the Christian calender. May this day be filled with joy for you and your family. Just for fun, here is the same photo that I posted yesterday. This is what I started with before I cropped and tweaked it for the sepia version. I thought it might make a good jigsaw puzzle. 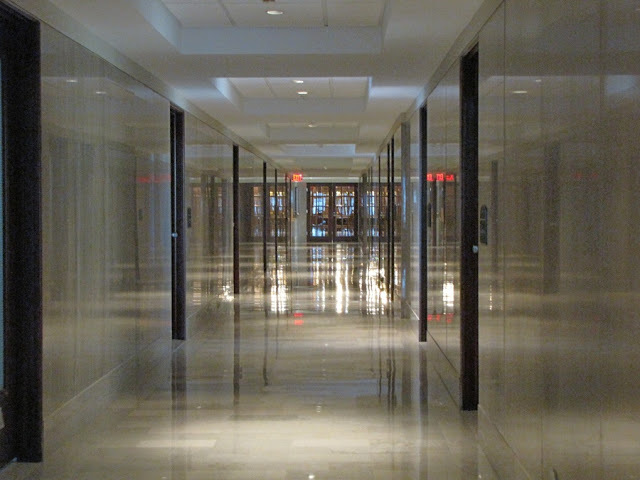 Several people wondered how I was able to wander around the corridors in a bank. The answer is that a very nice security guard accompanied us. Maybe escorted is a better word. The marble on the walls and floor create wonderful reflections. I like the sepia version better. What do you think? Tulsa has created decorative medians in a number of places. This is driving north on Yale Avenue between South 51st and 61st Streets. 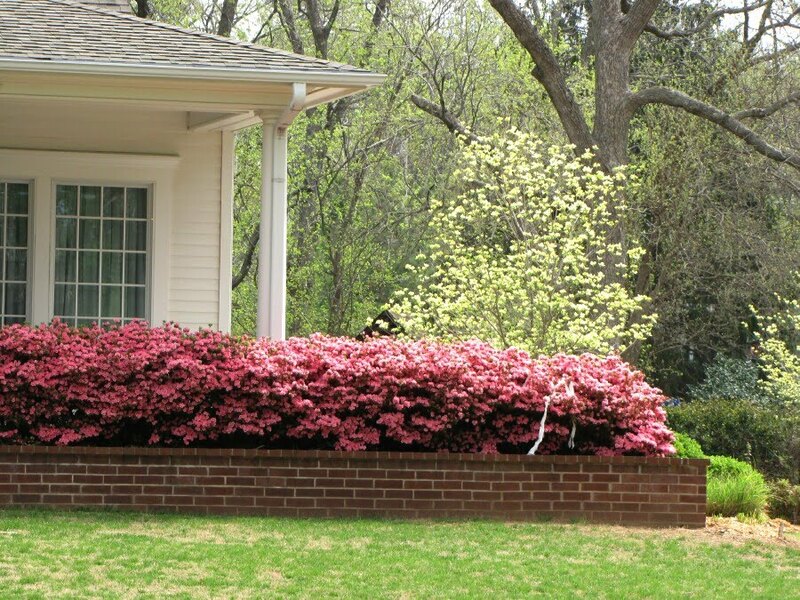 Trees, primarily Bradford pears, are planted in a raised center faced with brick. Bradford pears are so widely planted as to be dismissed by some as over used. The reason they are so widely used is that they have many virtues; they bloom prolifically in the early spring, they are hardy during both the hot summers and cold winters, turn to a nice color in the fall, and bear small fruit that are eaten by birds during the winter. What's not to like? Eric Clapton, Live in Tulsa! Eric Clapton played at Tulsa's new BOK Center on March 2nd. 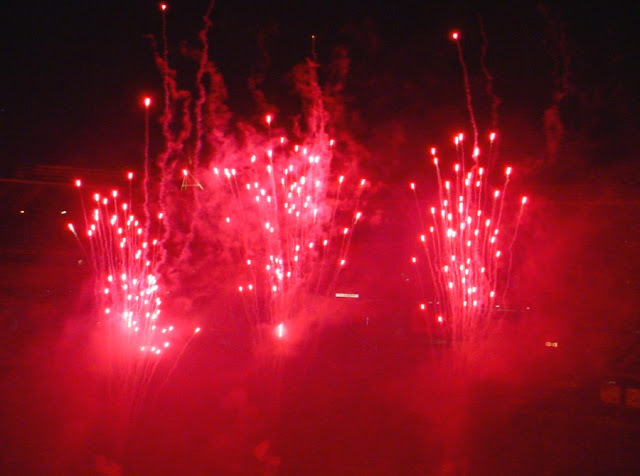 Part of any rock music concert is some sort of light show. 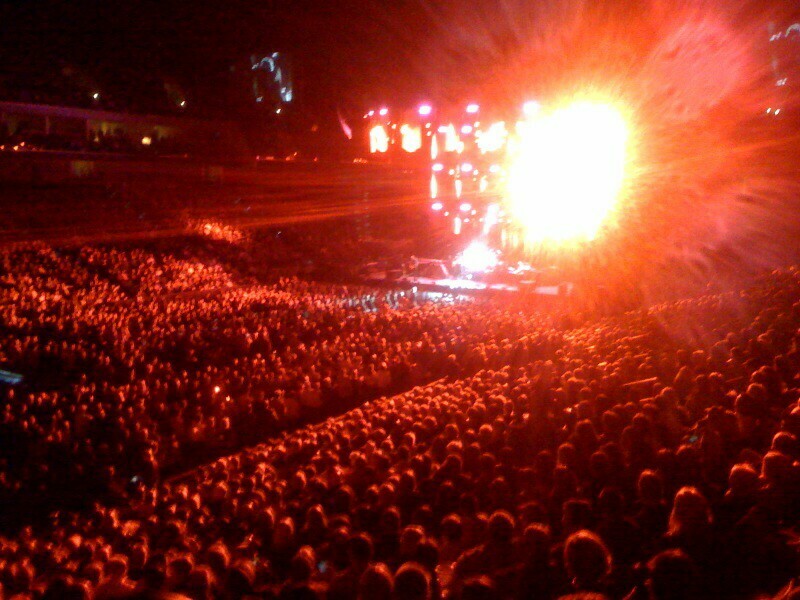 I captured this image with my iPhone just as the arena was flooded with red light, and posted it from the show. It seemed perfect for Red Theme Day so I am re-posting it here. 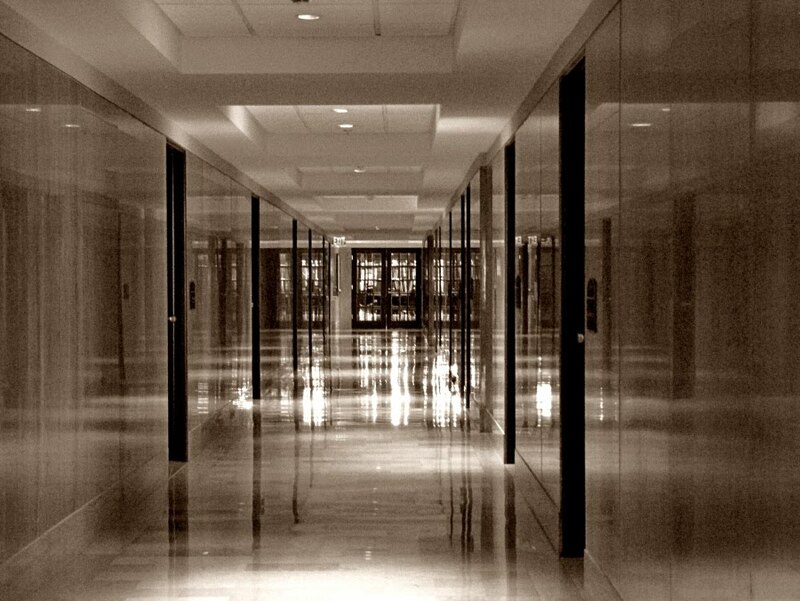 What is a DCPB? It is a Daily City Photo Blog like this one. This is one of 1191 blogs world wide that post a photo each day in or about a particular city. In this case I post a photo every day in or about Tulsa, Oklahoma.